INDEVCO Flexible Packaging Division Hosts Horticultural Growers in Ethiopia. Fifty growers and members of the Ethiopian Horticulture Producers and Exporters Association (EHPEA) attended a presentation about greenhouse films and other horticultural plastics produced by Masterpak, PE-film manufacturer based in Lebanon. NOOTOL General Industry, owned by Woizero Agitu Wodajo, represents INDEVCO in Ethiopia. 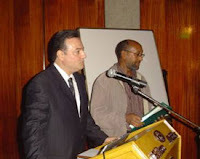 Tewodros Gebretsadik of NOOTOL organized the presentation, which took place 12 June 2007 at the Hilton Addis Ababa Hotel. Ato Tsegaye Abebe, EHPEA Chairman and an exporter of flowers and beans himself, welcomed guests. Members of INDEVCO Flexible Packaging Division then continued the presentation. Raji Bitar, Napco Regional Manager for Sub-Saharan Africa, briefly described INDEVCO Group’s worldwide presence. Râny Sfeir, Agricultural Engineer, then provided details about Masterpak greenhouse covers and horticultural film portfolio, explained how each product could meet plantations’ requirements, and provided solutions to growers’ problems. The presentation was followed by a buffet. 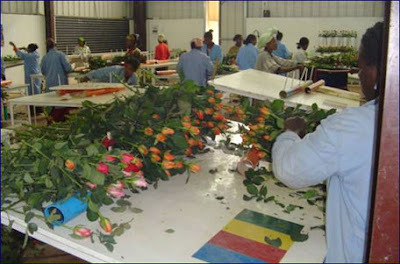 In less than a decade, Ethiopia has come into a bright international spotlight, given its rapidly developing horticultural industry and substantial government support for the sector. The EHPEA, with 70 member companies, organizes trade fairs and lobbies the government. The association’s members produce and export many varieties of roses, gypsophila, hypericum, limonium and carnations, as well as such cuttings as chrysanthemums and geraniums. Before and after the presentation, Bitar and Sfeir visited and evaluated horticultural film applications on EHPEA member farms around the capital, Addis Ababa, which aptly translates to “new flower”.